I’m Stickman, I’m Stickman, I’m Stickman, that’s me! Earlier this year Stickman was one of my little girl’s favourite books. 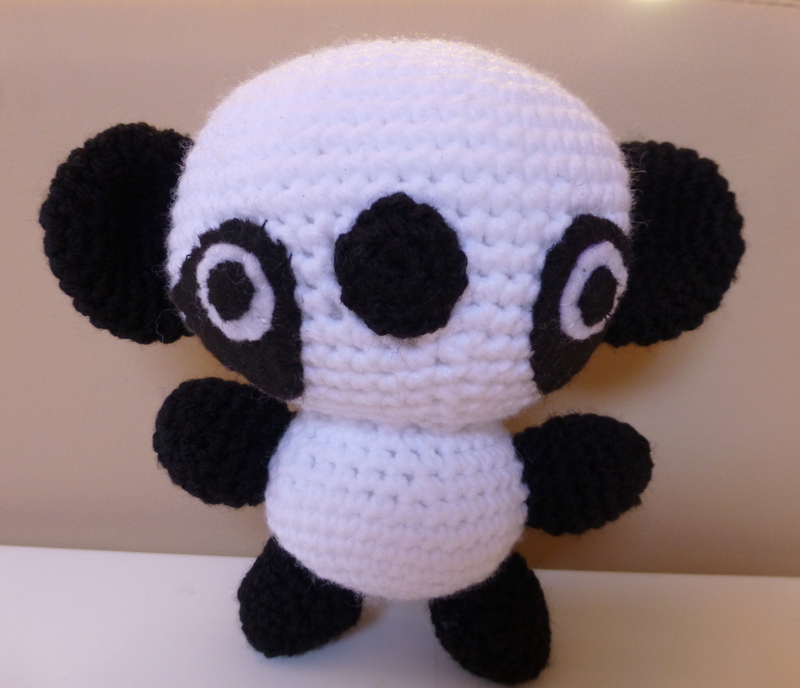 To be honest I was so busy making orders at the time that I didn’t have any chance to make write up my pattern properly and make anymore of the little guy. But a couple of months ago I did actually get around to it and make another one for a friend’s little girl as a ‘big sister’ present. I don’t have quite as much time to spend on new crochet projects at the moment so I’ve been trying to think of some new things to try that don’t take me too much time. 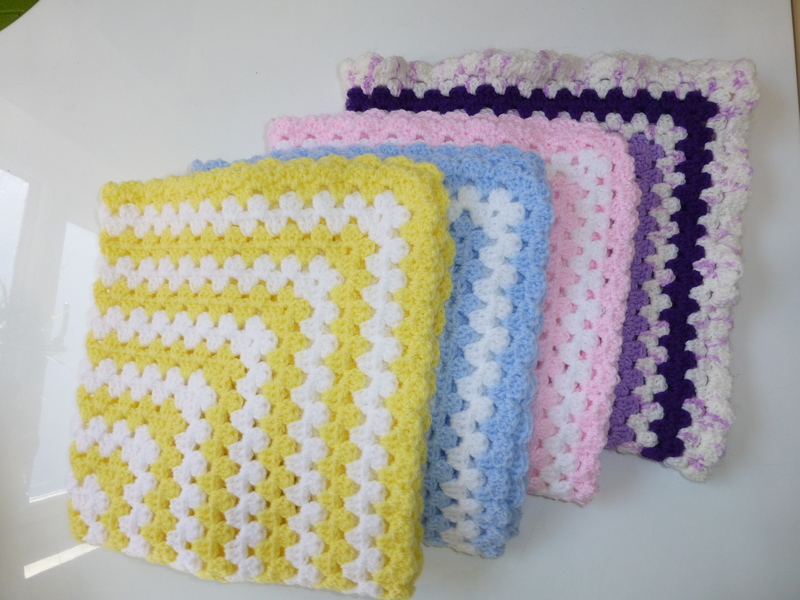 I quite like the ‘growth’ of blankets, either doing round and round of granny stitch or by making lots of little granny squares and then crocheting or sewing them together. I’ve also been liking doing a spot of amigurumi over the last 18 months, but it can be quite fiddly doing some of the smaller bits and needs a biggish stretch of time to concentrate and count rows. I’ve also been using my sewing machine quite a bit more and have been making some taggy blankies – as per my previous post on this – taggy obsessions. I thought I might try to combine these so decided to crochet some baby comfort blankies with bunnies in one corner. 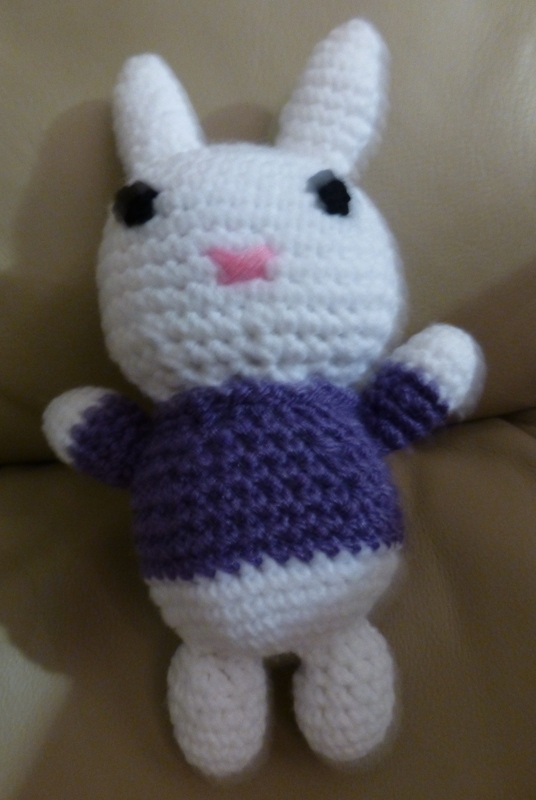 I managed to work a couple up pretty quickly, doing the blanket bit during the evening when I don’t have to concentrate too much and then the bunnies during the day when my little girl was having her short naps. A friend recently had a baby, so I thought one might make a nice gift for her, and the other one has now gone into my Etsy shop. 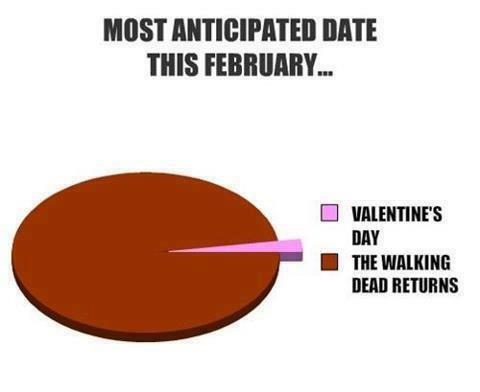 Getting ready for Walking Dead Day, ooops I mean Valentine’s Day! Although I saw this and it made me laugh, I do already have quite a lot of zombie items on the Quirky Purple online shop here, so I thought I might try to make a few things that would make nice Valentine’s Day presents. Of course, I think zombie items would make very nice Valentine’s Day pressies! Anyway, here are a few things that I have made that are now in stock and ready to purchase. 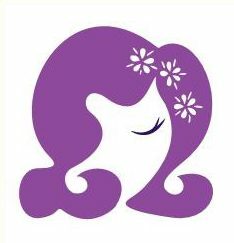 I’ve been making things that have a nice retro twist, that you won’t find on the High Street, so you can be sure that you will be giving something special. I’m making more, so it’s worth checking out the Valentine’s Day section of the online shop as I’ll add them as I go along. Don’t forget we make to order too, so just give us a shout with your ideas and requirements.